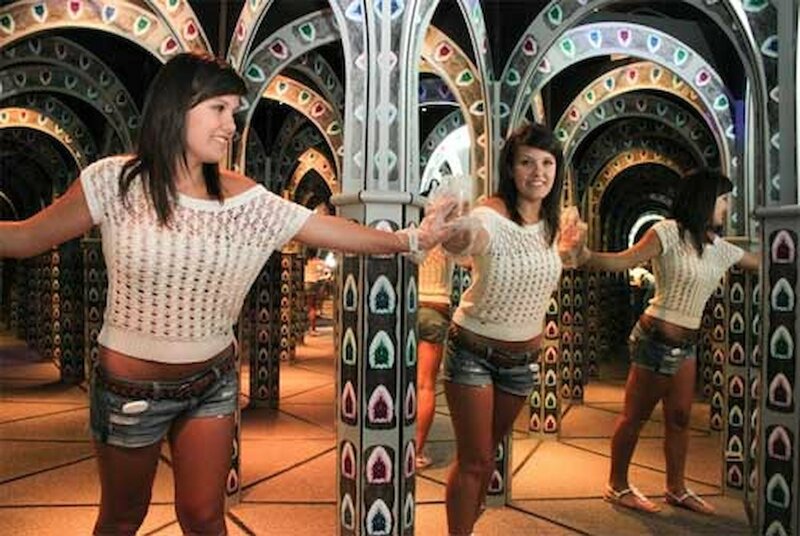 A Mirror Maze Adventure located in Niagara Falls Ontaro! 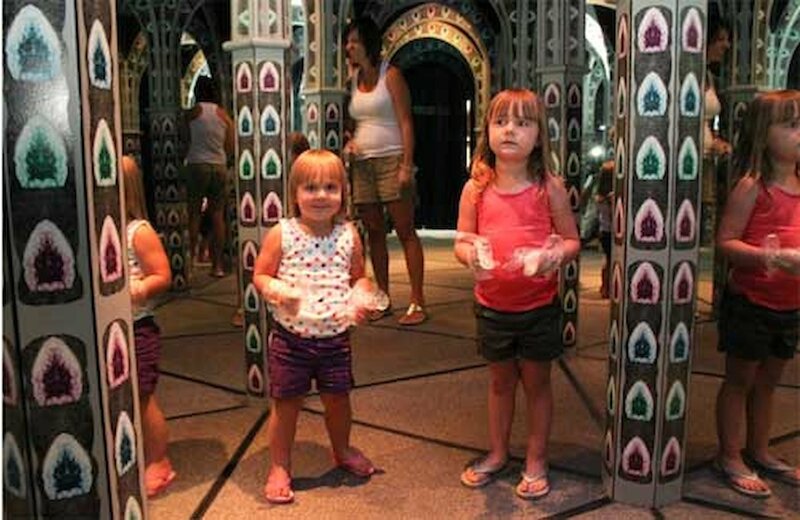 Are you brave enough... clever enough... or crazy enough to reach the end of this Crystal Labyrinth?? The year was 1884. Hundreds of pounds of dynamite were assembled atop Clifton Hill to pave the way for the Niagara Falls railroad station. But when the first explosions to lay the foundations went off, everyone got more than they bargained for. Workers found deep caverns next to the site cut out of crystal just beneath the surface and miles of icy tunnels so clear the men could see their reflections in the walls. Construction took years as each blast opened new caves and weakened the earth below. When the station was finished, every entryway was sealed and the treacherous labyrinth forgotten... Or so the legend goes. A century later, a tragic fire burned down most of this historic railroad site. As rescuers moved through the rubble on the adjacent property they found a dark hole in the rocks – just large enough for a person to fit through. What they found inside confirmed the stories that have been passed down for generations: crystals jutting out of the walls of endless ice-lined caves and a maze of passageways, shaky wooden bridges, and crumbling ceilings. 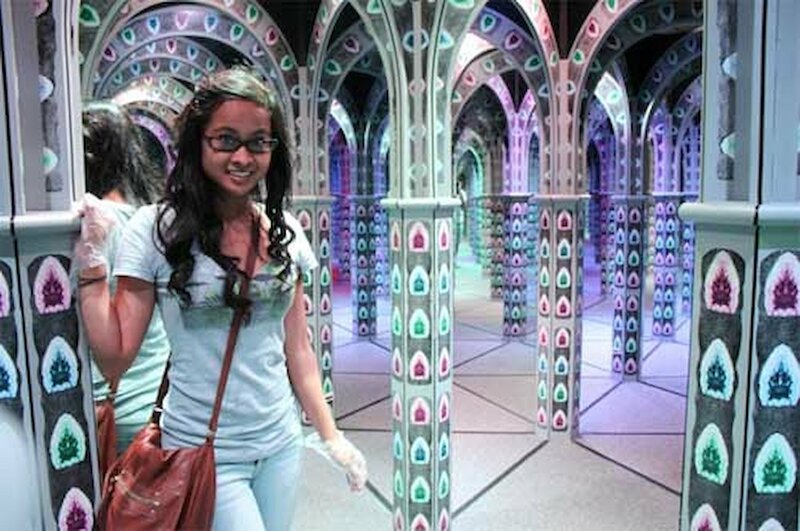 Today you can be among the first, in over a hundred years, to step foot in this MIRRORED MAZE OF CRYSTAL CAVES. But before you enter...just be sure that you have what it takes to find your way out... for you might just get lost in the infinite passageways FOREVER!